Plum City – (AbelDanger.net): United States Marine Field McConnell has linked Huma Abedin’s alleged Black Hand* (wo)man-in-the-middle attacks on Hillary Clinton’s e-mail server to the late Gareth Williams the spy who tracked Serco and MI6 drugs through HSBC Jetways and apparently died in a bag used by Clinton Foundation donors in the British Virgin Islands (‘BVI’). Black Hand* – HSBC’s drug-hub navigators with a “License to Track, Film and Kill” for the City of London’s Honourable Artillery Company 1537; The Master Mariners and Air Pilots (formerly GAPAN) 1929, and The Ancient and Honorable Artillery Company of Massachusetts 1638 – whose alumni include the United States’ Presidents James Monroe, Chester Alan Arthur, Calvin Coolidge and John F. Kennedy and – perhaps – Barack ‘Choom Gang’ Obama. McConnell alleges that Serco’s MI6 handlers ordered Abedin to monitor the “ClintonEmail.com” domain through a landing page hosted by Confluence Networks in the British Virgin Islands and find out what Williams knew about HSBC’s drug hauling and money-laundering services to Clinton Foundation donors. McConnell alleges that Ms. Abedin monitored Williams’ communications through his flat in Pimlico, barely a mile from the headquarters of MI6 across the River Thames, where the property used by MI6 as a safe house, was in fact owned by a BVI-registered company New Rodina — ‘new motherland’ in Russian. 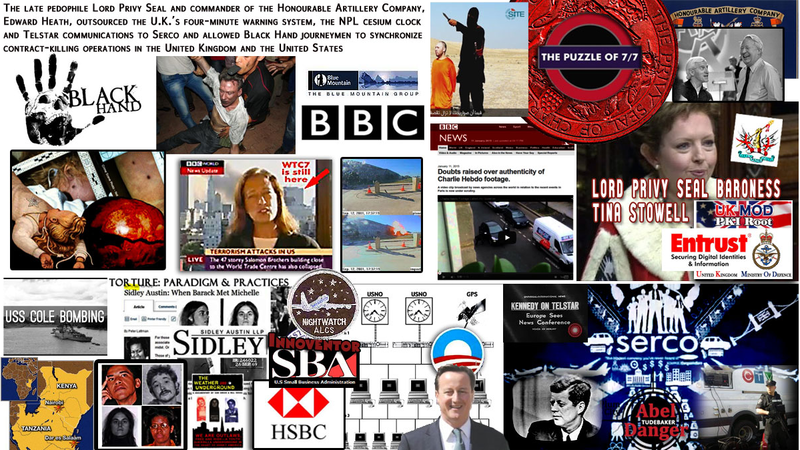 McConnell has exposed Huma Abedin’s (wo)man-in-the-middle attack on Hillary Clinton’s e-mail server and her role in arranging Serco’s Black Hand murder of Gareth Williams to protect the MI6 drug trade through the HSBC Jetways network and the Clinton Foundation’s donors in the British Virgin Islands (BVI). 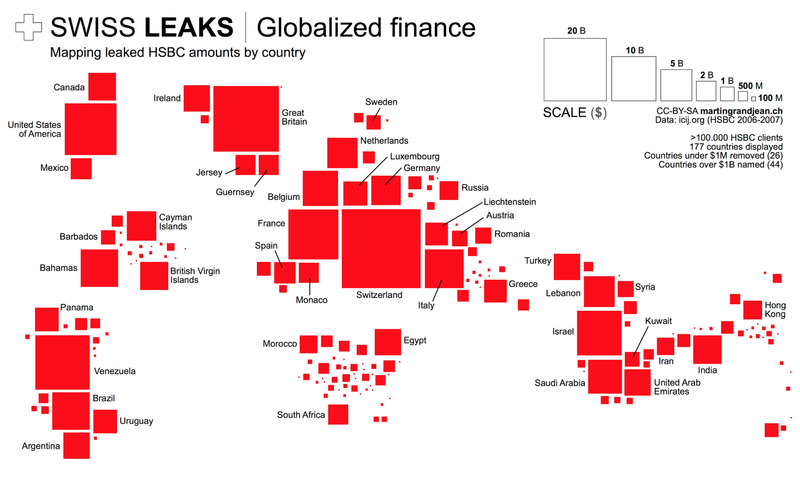 Drug-running was carried out by some HSBC clients, both in the Caribbean and in Mexico. Arturo del Tiempo Marques was a Spanish property developer operating in the Dominican Republic and a valued HSBC customer controlling up to 19 separate accounts, which in 2006-07 contained assets equivalent to £2.5m. However, one of his shipping containers of construction materials, sent from the Dominican Republic to Spain, was found in 2010 to contain more than a tonne of cocaine, hidden behind a false panel. He is currently serving a seven-year prison sentence in Spain. Marques was one of a number of HSBC customers regularly making large cash withdrawals from the Swiss bank. In May 2005, he withdrew €55,000 (£40,000) in cash. Just two weeks later in June he took out $50,000 (£32,000). A few months later in December that year, he took out still more bricks of cash, totalling €60,000. The email plot thickens with news that Hillary Clinton’s deputy chief of staff also used a private email account on the Clintons’ server to conduct government business. 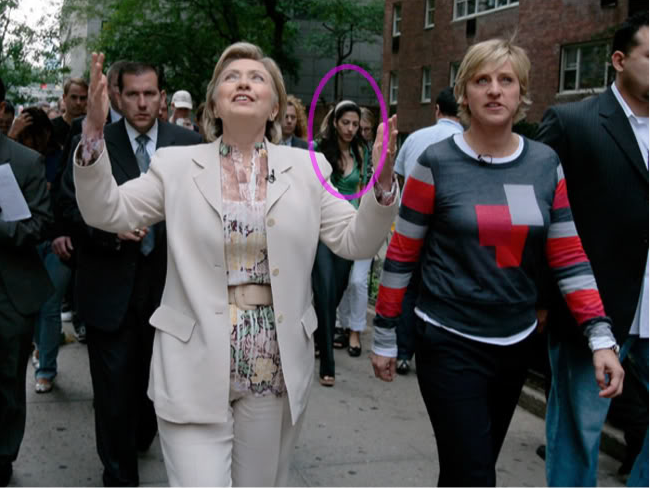 Abedin, perhaps best remembered as the wife of disgraced former congressman Anthony Wiener, is a longtime Hillary friend and confidante. She served as Clinton’s deputy chief of staff at the same time she worked as a consultant to the Clinton Foundation and a New York advisory firm tied to the Clintons, one that did business before the government. Foreign contributions to the Clinton Foundation — including from governments and sources which might not have our best interests at heart, during and after Clinton’s tenure as secretary of state — are raising questions about conflicts of interest and possible quid pro quos. Abedin made $135,000 a year as Clinton’s deputy, a period in which she is reported to have raked in as much as $355,000 from consulting contracts. Having a pipeline into the Clinton inner circle is invaluable to some. This reminds us of Johnny Chung’s famous comparison of the Clinton White House to a subway turn style — you had to put money in to gain entry. The Muslim Brotherhood took power in Egypt with the Obama administration’s approval after it had all but abandoned the government of Hosni Mubarak, a long-time ally and friend. It was while Abedin was advising Hillary that State dropped its long-standing policy of having no dealings with the Muslim Brotherhood. An inquest into the death of the spy whose body was found in a locked holdall is set to go ahead this spring, casting light on one of the most baffling mysteries in the recent history of the secret services. It remains one of the most baffling mysteries in the history of the British secret services. When the body of an MI6 spy was found locked in a holdall in the bath of his flat, in August 2010, it led to a rash of conspiracy theories, from the disturbing to the downright bizarre. 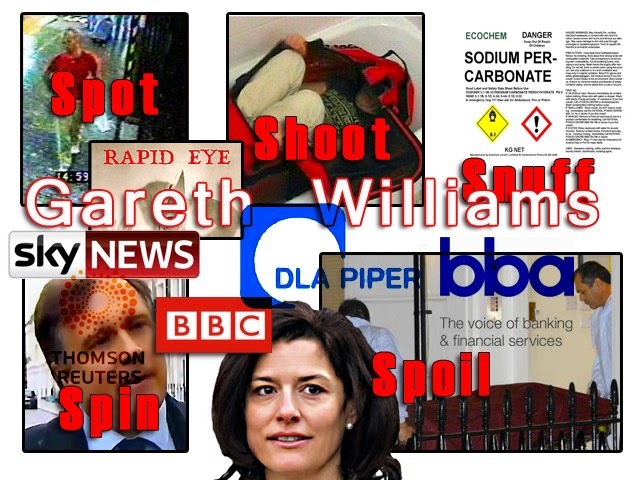 Nearly 18 months on, police have been unable to establish what led to the death of Gareth Williams, despite a battery of toxicology tests and an exhaustive investigation into his background and his movements. But Dr Fiona Wilcox, the recently-appointed coroner for Westminster, has decided the time is now right to attempt to record the first official account of what happened to the 31-year-old spy. She will hold a Pre Inquest Review (PIR) on March 29 at Horseferry Road Coroners Court. A full inquest will begin three weeks later, probably at a larger venue, and is expected to last three to four days. The PIR is required to establish who will give evidence and, crucially, in what form. Attending will be a member of Scotland Yard’s investigation team and legal representatives of GCHQ and MI6. A solicitor is understood to have been appointed by Mr Williams’s parents Ian and Ellen to represent his family. It is expected that some, if not all, the evidence from as many as 40 of Mr Williams’s colleagues will be held ‘in camera’, to protect their identities and the content of their statements. The spy’s badly-decomposed body was found at 6.30pm on August 23 at his flat in Pimlico, barely a mile from the headquarters of MI6, the Secret Intelligence Services, across the River Thames. “How Unsafe Was Hillary Clinton’s Secret Staff Email System? When Hillary Clinton ditched government email in favor of a secret, personal address, it wasn’t just an affront to Obama’s vaunted transparency agenda—security experts consulted by Gawker have laid out a litany of potential threats that may have exposed her email conversations to potential interception by hackers and foreign intelligence agencies. “It is almost certain that at least some of the emails hosted at clintonemails.com were intercepted,” independent security expert and developer Nic Cubrilovic told Gawker. Within the instant classic “ClintonEmail.com” domain, it appears there are three separate servers. The domain’s blank landing page is hosted by Confluence Networks, a web firm in the British Virgin Islands, known for monetizing expired domain names and spam. But the real worry comes from two other public-facing ClintonEmail.com subdomains, which can allow anyone with the right URL to try to sign in. One is sslvpn.clintonemail.com, which provides a login page that apparently uses an SSL VPN—a protocol that allows your web browser to create an encrypted connection to a local network from any internet connection—to users to access their email. That sounds secure, and under the right circumstances, for regular users, it can be. But there are two huge problems with using it for the Secretary of State’s communications with her staff and others. It might be the administrative console interface to the Windows machine or a backup. In that case, all mail could have been copied. The apparent reason for that message is that the certificate used by Clinton’s server is self-signed—verified by the authority that issued it, but not by a trusted third party—and therefore regarded by Google’s Chrome browser as prima facie invalid. The government typically uses military-grade certificates and encryption schemes for its internal communications that designed with spying from foreign intelligence agencies in mind. But the ClintonEmail.com setup? “If you’re buying jam online,” says Hansen, “you’re fine.” But for anything beyond consumer-grade browsing, it’s a shoddy arrangement. Security researcher Dave Kennedy of TrustedSec agrees: “It was done hastily and not locked down.” Mediocre encryption from Clinton’s outbox to a recipient (or vice versa) would leave all of her messages open to bulk collection by a foreign government or military. Or, if someone were able to copy the security certificate Clinton used, they could execute what’s called a “man in the middle” attack, invisible eavesdropping on data. “It’s highly likely that another person could simply extract the certificate and man in the middle any user of the system without any warnings whatsoever,” Hansen said. We don’t know, of course, if the current state of Clinton’s servers is representative of the security precautions that were in place while she was using it as Secretary of State. The system could have previously been hardened against attack, and left to get weedy and vulnerable after she left government. We don’t know. But that’s part of the problem—at the Department of State, there is accountability for the security of email systems. If we learned that State’s email servers had been hacked or left needlessly vulnerable, there would be investigations and consequences. With Clinton’s off-the-books scheme, there are only questions. This is basically no more secure than the way you’d log into AOL, Facebook, or any other website. There’s no evidence that Clinton (or her staffers) used this web interface to check their emails, as opposed to logging in through a smartphone or other email software. But its mere existence is troubling enough: there have been five separate security vulnerabilities identified with Outlook Web Access since ClintonEmail.com was registered in 2009. These security bugs include doozies like “a flaw that may lead to an unauthorized information disclosure” (2010) and “a remote attacker can gain access to arbitrary files” (2014). If Clinton had been using a government account, Hansen explained, her messages with colleagues would all be held within one relatively tidy system, monitored by the federal government. It’s the difference between doing your laundry at home and dropping it off. But with a private account, you’re introducing many separate points of failure; every single company in this custom system is a place to pry and attack. “Any joe hacker” could get inside with enough knowledge and time, according to Hansen. Cubrilovic echoed Hansen’s concern: “When you are a staffer in a government department, internal email never leaves the network that the department has physical control over,” he told me. But “with externally hosted email every one of those messages would go out onto the internet,” where they’re subject to snooping. I think the bigger security concern here is the complete lack of visibility into who has been administering, backing up, maintaining, and accessing the Secretary’s email. If classified documents were exchanged, who viewed them? Were they forwarded? Where multiple devices (ie, mobile phones and tablets) configured to access the account? Was encryption required or optional for remote access? With your own email hosting you’re almost certainly going to be vulnerable to Chinese government style spearphishing attacks—which government departments have enough trouble stopping—but the task would be near impossible for an IT naive self-hosted setup. While some of these hacking scenarios may sound outlandish or far-fetched, keep in mind that Clinton’s emails would have been a prime target for some of the globe’s most sophisticated state-sponsored cyberwarriors—the Chinese, the Israelis, the Iranians. The very existence of Clinton’s private account was revealed by the hacker Guccifer, an unemployed Romanian taxi driver who managed to gain access to former Clinton aide Sidney Blumenthal’s AOL account with relative ease. The Hillary account was reported by Gawker in 2013, and White House spokesman Eric Schultz used that story to argue that the Clinton email story was old news: “This was public years ago,” he told Business Insider, linking to the 2013 Gawker story. Serco has recently processed the one millionth patent application for the U.S. Patent and Trademark Office (USPTO) under a contract awarded in 2006. The Serco team has processed an average of 350,000 applications annually – or about 1,350 application on a typical day. After being awarded the contract in 2006, Serco built a virutally paperless classifications operation. The operation included establishing a secure facility and IT infrastructure, recruiting and training highly skilled staff, and implementing a set of automated tools that streamlined the classification process while minimizing errors. Under the contract the Serco team is required to identify the correct classification from more than 150,000 possible U.S. classifications and more than 70,000 international classifications. This is required while maintaining an accuracy rate of better than 95% and completing work within strict time limits. The facility located in Harrisonburg, Virginia employs more than 100 Serco and subcontractor employees. The team have received numerous performance incentives for exceeding the USPTO contract’s requirements for accurate assignment of application classifications, achieving a 96% accuracy rate over the most recent 12 months. Ed Casey Chief Executive Officer of Serco’s business in the US said: “We are very proud of the work being done by the Serco team and we celebrate their achievement of this important milestone. The work they do for the USPTO is critical to our country’s technological and economic leadership. Serco has established a steller reputation of delivering innovative solutions and substantial value to our customers in the federal government in carrying out their important work”. “The United States Patent and Trademark Office (PTO or USPTO) is an agency in the U.S. Department of Commerce that issues patents to inventors and businesses for their inventions, and trademark registration for product and intellectual property identification. The USPTO is “unique among federal agencies because it operates solely on fees collected by its users, and not on taxpayer dollars”. Its “operating structure is like a business in that it receives requests for services—applications for patents and trademark registrations—and charges fees projected to cover the cost of performing the services [it] provide[s]”. The head of the USPTO is Michelle Lee. She took up her new role on January 13, 2014, and formerly served as the Director of the USPTO’s Silicon Valley satellite office. “Building a State-of-the-Practice Data Communications Network To create a state-of-the-practice data communications network required Serco to engineer different solutions for each of the AFSCN’s unique locations. Each ground station around the world had to be surveyed in order to develop detailed installation plans, project support agreements and testing plans. Furthermore, to assure communications reliability between the ground station and the operational control nodes, Serco also had to conduct a complete circuit testing exercise.